I was going to chuck the remaining bait away from the weekend, I thought I might as well chuck it in the local river and put a hook in some of it. 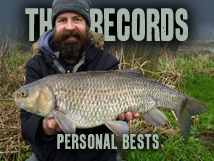 I only had an hour but glad I went, three chub to 4lb 5½oz and two barbel to 4lb 14oz. 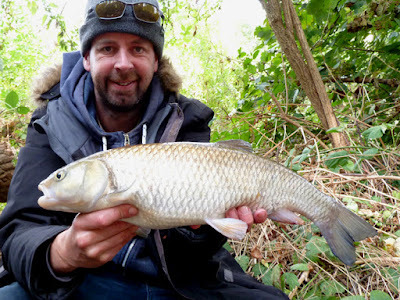 The biggest chub was almost white, I've heard the colour has something to do with their diet - to the Google!